I don’t like travel itineraries; I hate being told what time to wake up and where I should go next. But this stubbornness also caused me so many wasted time and moments that could’ve been spent on efficient traveling. So for my recent trip, I asked my buddies to plot a rough itinerary on interesting places in Taiwan so we could save time and effort on our three-day jaunt. 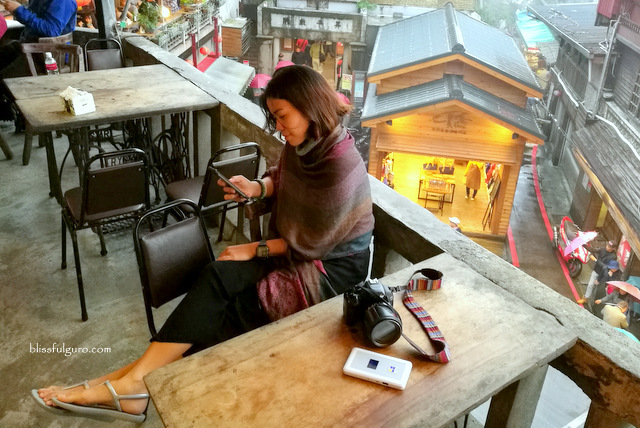 Good thing was that I had with me my newest travel buddy, the Flytpack Travel Wi-Fi Router, which kept me connected online during the trip so searching for nearby night markets and updating my social media accounts were never a problem. Check out my latest discovery. During my two-month Beach Hop Asia 2016 backpacking trip last summer, me and my buddy visited five countries and every time, we had to secure local sim cards just to keep up with our social media needs. The problem with it was that we usually ran out of data and looking for a place to top-up, especially when we’re on far-flung areas, was really a task. 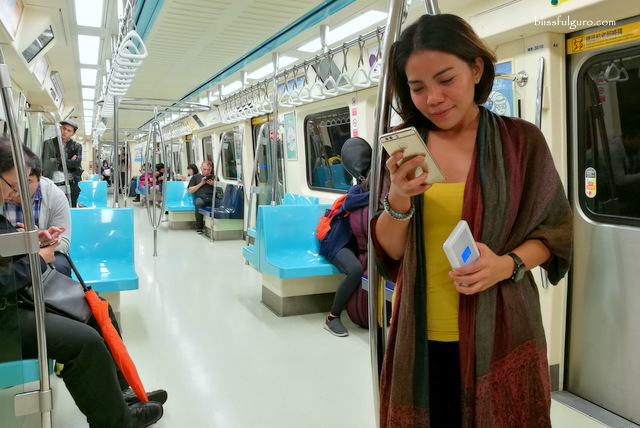 We also had an option to connect through our service provider through roaming but the charges might surprise us when we get back to the Philippines (check here for discounted tours, transportation and activities in Taipei). It was during my cruise trip via Star Cruises when I first came across the ingenious overseas pocket WiFi that was rented by a friend. I tried connecting and was so amazed on the reliable and fast connection even when we’re on high seas. The best thing was that it had a fixed day-to-day charge that relieved him from stressing over exceeding limits. I told myself that I will be getting Flytpack Travel Wi-Fi Router on my next travel. Flytpack is an overseas Wi-Fi rental service that lets you enjoy a portable wireless modem that connects any Wi-Fi-enabled device to the internet (you can connect up to 8 devices depending on the model type of the router) with a secure network connection. Flytpack is relatively new in the market that targets business and leisure travelers that are always on-the-go. The overseas Wi-Fi rental service of Flytpack allows you to stay connected online when you’re abroad. It is affordable, hassle-free and easy to use. How much does it cost to rent a Flytpack Travel Wi-Fi Router? Depending on the country (or number of countries), there’s a fixed charge per day (for as low as PhP180) when you rent a Flytpack Travel Wi-Fi Router. The fee is based on the number of days you travel starting from your departure date up to your arrival date. There’s also a deposit of PhP2,800 on top of the rental fee that will be refunded to you within 7-14 working days after the router is successfully returned to Flytpack. How can I avail of the rental services of Flytpack? Order – Fill in your travel details. Particulars – Fill in your particulars, collection and return date plus methods. Payment – Check your payment and choose the payment method. How can I get the Flytpack Travel Wi-Fi Router? After fulfilling all the requirements on the website, you have the option for either pick up or delivery on the collection and return of the Flytpack Wi-Fi kit. If you’ve chosen the delivery method, the kit will be delivered at the mailing address you entered at least one day before your departure and will be picked-up at least one day after your arrival date (there is a penalty per day for late return). How does the Flytpack Travel Wi-Fi Router work when I’m overseas? Your Flytpack Travel Wi-Fi Router is pre-configured so there’s no installation and configuration needed on your part. All you have to do is make sure that the router is charged then you just have to turn it on and enable the Wi-Fi function on your gadgets. Search and select the network name (SSID) on your devices and enter the password (SSID and password can be found on the router itself). And just like that, you’re connected to the internet! On my recent Taiwan trip (thanks to the new Taiwan visa exemption for the Philippines), I had my Flytpack Travel Wi-Fi Router delivered and picked up right at my doorstep a day before and after the trip respectively. 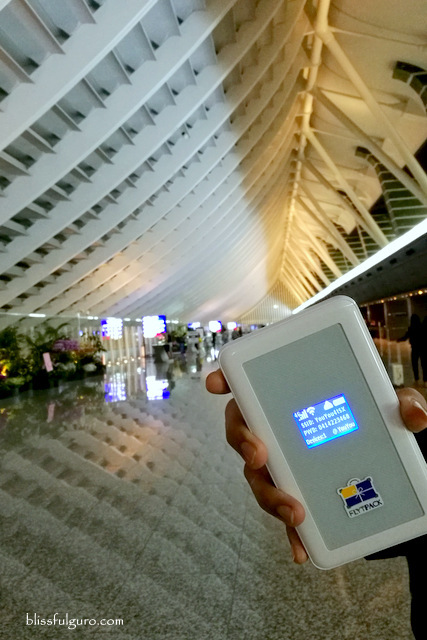 We had three days to explore Taipei and a new addition to my constant travel essentials was the Flytpack kit that includes; Flytpack router, travel adapter, charging cable, user manual and a device pouch. I made sure that it’s fully charged when I left home and after the two-hour flight from Manila, I immediately turned the device on as we touched down. The LCD screen turned blue and indicated that there’s an internet connection. I enabled the Wi-Fi function of my cellphone and searched for the SSID as indicated on the router and entered the password. Then notifications from my different social media accounts popped everywhere. I was so ecstatic for that instant connection I had. During those three days, me and my buddies did some walking tours around Taipei City and went on an excursion on the outskirts. 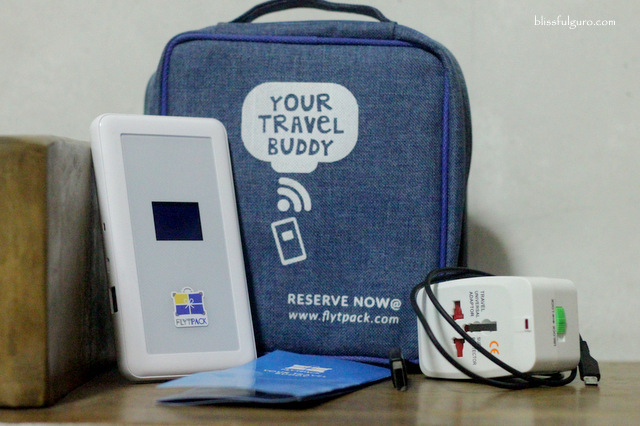 With a fixed data charge of P250.00 per day, all five of us enjoyed the fast and reliable connection we had in Taiwan brought about by our handy dandy Flytpack Travel Wi-Fi Router. If you think about it, each of us spent only PhP50 per day for the connection, sulit right? Now that I found a trusted device that I could rely on when all my travel plans fail (I’m still stubborn when it comes to itineraries), I would never leave the country again without it. 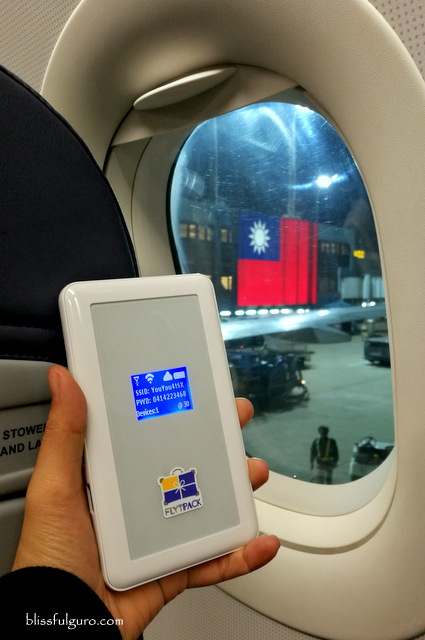 Flytpack Travel Wi-Fi Router made our three-day trip more fun as we navigated Taiwan with ease. I will definitely include it again on my future travels. Office Hours: Monday to Fridays | 9:00 a.m. to 10:00 p.m.